Here, we follow up the article by Neal Lawson and Caroline Hartnell on ‘45 Degree Change’ and examine initiatives identified by Aditya Chakrabortty in a series of articles called ‘The Alternatives’, which ran in the Guardian from January to September 2018. The current article is a pilot for a larger piece of work to see whether the idea of 45 Degree Change can be a useful tool in improving the governance of our society where local people feel they have an important stake in what happens. To build on the preliminary findings set out here, we plan a participatory research project to take the idea of 45 Degree Change to the next level. Denial in the face of evidence is symptomatic of what André Spicer has described as the ‘omnishambles’ of government. Recent examples include Brexit, Universal Credit and the new railway timetable. Past examples include the Iraq war, the NHS computer system and the single payment scheme for farmers. When it comes to addressing poverty, the state is failing in two main ways. First, as the saga of Universal Credit proves, the state is no longer guaranteeing the security of its people. Second, and talked about much less, government also inhibits others from finding solutions to the problem of poverty. Successive governments have increased their grip on power through centralised control of resources, stifling local initiative, while austerity policies have sucked the life out of local government. We need what the Carnegie UK Trust calls an enabling state, ‘which empowers individuals and communities and takes a more facilitative, holistic approach to service delivery’. This is not what we have now. As Robert Peston’s WTF? shows, we have an elite-driven society that produces high rewards for those at the top, but disregards and dehumanises everyone else. This has produced a culture of despair, anger and hate that finds expression in the anti-authoritarian backlash that produced Brexit in the UK and Trump in the US. Given that our political system appears broken beyond repair, how do we get the governments we want? The answer, we suggest, is to build what political scientists call ‘the demand side of governance’. Essentially, this means supporting the power of people in civil society to develop a self-organising and active society where governments are led by what people want rather than doing what big business and professional interests consider good for them. This takes us to Rethinking Poverty’s new series looking at 45 Degree Change, which will focus on the meeting point of local/community initiatives and the state. On the one hand, there is ‘a huge amount of energy and innovation going on in civil society, public services and the new economy’, with people and organisations everywhere experimenting with new ways of deciding things and doing things, with new forms of collaborative action. On the other hand, ‘we need the state – to help resource, legitimise and regulate in favour of these emerging collaborative and socially responsible organisations’. If these initiatives are to be sustained or systematized so they become the basis of a new society rather than scattered examples of what could be, we need to understand what role the state needs to play, at national and local levels. As a first step we decided to look at the set of inspiring local projects/initiatives documented by Aditya Chakrabortty in the Guardian. ‘In the Alternatives,’ he explains, ‘I have sought to explore what that democratic, decentralised economy might look like, by reporting the ways people are already doing economics differently.’ His focus is on ‘communities, discarded by the market and disregarded by the state, trying to work out their own answers to the big questions’. In each case, we will look at what interaction, if any, there was between the local project and the state. If there was some interaction, how did it work and what did it achieve? If there wasn’t any, what might have been achieved if the state had been involved? Are there cases where the state simply has no place? Some of Chakrabortty’s examples feature local government as a key player. In Preston, Oldham and Plymouth, the councils are actively involved in trying to build the local economy and prevent local money being creamed off by big companies. After the city council’s grand scheme for a massive shopping mall finally bit the dust in 2011, Preston city council adopted a ‘guerrilla localism’. The aim was to keep its money as close to home as possible so that the amount spent locally would go up. Research by CLES shows that for every pound spent with a small or medium-sized firm, 63p is respent locally. That drops to 40p for every pound given to a large or multinational company. What more could be done? Chakrabortty emphasises that he is presenting examples, not templates. Preston is often called a model for how it brings public spending back home. ‘Yet simply to cut and paste what the councillors and officials and advisers have done there may not work in another part of the country with a crew that doesn’t have the same doggedness and heart.’ But Preston’s Matthew Brown does see a model: ‘Imagine if every Labour city were setting up its own banks, supporting worker-owned businesses and credit unions,’ he says. ‘Imagine it. That would be our way of taking back control.’ And we can imagine if every city … And we can ask if there is a role for national government in encouraging/incentivising local councils to go down the localism route. In the poorest town in England, you have 86 school kitchens dishing out 17,000 meals a day serving high-quality food, with a menu that’s about 20 per cent organic, with much else sourced regionally. The ‘magic formula’ behind this is again an individual, Anne Burns, head of Oldham’s school dinner department. ‘Having done school dinners for 40 years, since training as a cook aged 16, she abhors “ping meals” and “plastic food”.’ Here again we see localism at work, keeping public money close to home and using it to grow the local economy. Here again we can surely imagine this being replicated across the UK. In the UK, social enterprises, or community interest companies, were only legally recognised in 2005. Without this legal framework, Plymouth’s abandoned Guildhall could not have been transformed into a hub for social enterprise. But is Westminster doing enough to encourage the formation of social enterprises and support their development? This could include ensuring that banks are as willing to lend to them as to other businesses – or even on more favourable terms. As we will see with the employee buyout example, positive government promotion can make a big difference. Fifteen years ago, Wolfhagen was leasing its electrical grid for its 14,000 residents to one of the world’s largest energy companies, E.ON. But it still had a Stadtwerke, or municipally owned electricity supplier, run by Martin Rühl. When E.ON’s 20-year licence was approaching its expiry, Rühl thought Wolfhagen ought to reclaim the grid for itself. After months of pressing the case upon the local council, they agreed. Now the Stadtwerke makes a profit every year; in addition to paying off the bank loans, this funds the town’s kindergartens, while providing cheaper electricity than most competitors, including E.ON. The number of staff has almost doubled and it has won national prizes for its innovation in reducing energy use. 284 municipalities, including Germany’s second-biggest city of Hamburg, have followed suit. Rühl wanted the now-public Stadtwerke to go 100 per cent renewable by 2015, but this meant a forest of solar panels and giant wind turbines on the mountain overlooking Wolfhagen – a prospect that split the town in two. ‘For all its fury, the debate turned the Stadtwerke from a company under new management to an asset in which everyone had a stake.’ To raise the millions needed to build the wind farm, the town sold a quarter of the energy firm’s shares to locals in a citizens’ co-op, which has seats on the board of the company, giving residents a direct say over how it is managed. Replicating this in Britain is clearly a matter of political will. In the 1870s, writes Chakrabortty, ‘Birmingham was the birthplace of municipal socialism: the city’s then-mayor, Joseph Chamberlain, bought the gas and waterworks and ran them for a public profit.’ Almost 150 years later, privatisation has been favoured by governments of all political stripes, though a handful of local councils have recently established energy companies, starting with Bristol Energy and Nottingham’s Robin Hood Energy, with Doncaster and London’s Islington council following suit. How many councils are even aware that this is an option open to them, one wonders? And even if they are, would today’s cash-starved councils have the resources to pursue it? When John Clark and Alistair Miller wanted to sell off their business and retire, an American firm appeared and enquired about the price. As they talked further, they realised this would most likely mean the Scottish operation closing down in six months or so, leaving the 60-odd workers without jobs or livelihoods. Selling the business to those workers was not even on their radar. ‘Just then, a postcard flopped on to the doormat. “Thinking of exiting your business?” it asked. When the man from Scottish Enterprise, an agency of the Holyrood government, told them about worker ownership, he got blank faces.’ As they visited some of the 95 Scottish firms now owned by their employees, they learned of the advantages: higher productivity, greater resilience, more inclusive of all their staff. In the end Clark and Miller got a fair price for Novograf, but it wasn’t easy. They couldn’t raise cash upfront for the purchase price as none of the major banks was interested, so they handed over the company shares while allowing employees to pay them back over a few years, with interest. In its first full year of employee ownership, Novograf’s sales shot up 20 per cent and the company took on an extra 22 people. At the end of 2016, all the shares were transferred from the two original owners into a trust held on behalf of all staff. Without that postcard, very likely none of this would have happened. The British government is certainly aware of the advantages of employee ownership, having commissioned a report by Graeme Nuttall in 2012 review whose first line reads: ‘Employee ownership is a great idea’. Nevertheless, the Department for Business hasn’t got a single civil servant dedicated to promoting worker ownership, as advised by the Nuttall review, let alone a minister responsible for ‘promoting employee ownership across government’. By contrast, the far smaller Scottish Enterprise employs eight full-time staffers to promote and advise on worker ownership and other ‘inclusive models’ of organising companies. The SNP government is full-square behind it – and this clearly makes all the difference. Despite residents’ protests, street after street in Granby had been demolished until only four were saved – including Eleanor Lee’s Cairn Street, where at rock bottom the 68 small Victorian terraced homes had only eight households. In the midst of the dereliction, Lee and her neighbours started cleaning up. They cleaned streets, painted empty homes, planted flowers. In 2010 they began an outdoor market, which became a monthly event, attended by thousands. For the first time in generations, things are being built here rather than knocked down. The CLT bought 13 of the Cairns Street terraces off the council for a pound each and invested hundreds of thousands into making them habitable. The two most neglected properties will be knocked together into an indoor garden and community meeting space. The other 11 will be rented or sold, all at genuinely affordable rates, to people in genuine need of housing who can show connections and commitment to the neighbourhood. CLTs only made it into law in 2008. Without this legal framework, what happened at Granby would not have been possible. Having a CLT enabled the Granby activists to raise money and to put a development proposal to the city council – which was accepted by ‘exhausted councillors’. If government promoted and facilitated the formation of CLTs, as Scottish Enterprise does with employee ownership, this could make a big difference. In Bermondsey, just a tube stop away from London Bridge, the deserted campus of an old further education college has become Green Lab, a ‘makerspace’. Usually found in rundown buildings, makerspaces are small-scale factories, ‘run not by a big company but by communities of the idiosyncratic and inventive’. Britain has more than 150 of them. This one came about when not-for-profit company 3Space convinced the landlord to give it the keys until demolition day. Since then it has become a base for an army of startups, which pay a modest rent. This income then subsidises other rooms that go free to non-profits. In 2016, Ande Gregson came in, with a mission to help fix the problem of how to feed the planet. ‘Gregson calls Green Lab a “Willy Wonka factory”: a crew of enthusiasts pursuing their own outlandish projects, all to do with making the most of our food supply and reducing waste. Fish skins are turned into leather; tiny green vegetables are grown in repurposed airducts.’ By the end of 2018, Green Lab will be booted out and the college will be bulldozed to make way for new flats and shops. 3Space’s Green Lab hasn’t involved the state at all, but could the state help makerspaces like this to open up? Local councils could identify empty sites for makerspaces to set up, Chakrabortty suggests. They could collect registers of residents and other businesses who are willing to help with accounts and marketing and equipment; and lean on Ikea, DFS and other retailers to tell their shoppers about them. Could national government also lean on local councils to do this? Riddell and his colleagues have launched a reward scheme called CounterCoin. It’s like a Tesco Clubcard – except you earn points not by spending but by doing something for the community. Help out at a YMCA workshop, for example, and you’ll get clay tokens that entitle you to bargain off-peak sessions at the neighbourhood bowling alley. So far the only involvement by the local council seems to be senior council officer Andy Arnott’s plan to add more of the council’s leisure facilities to the CounterCoin scheme – as the development was negotiated between Riddell and the landlord. But if it was made it easier for communities to repossess derelict properties, many more schemes like this might take off. Buses are among the biggest casualties of austerity Britain. Since 2010 funding for buses across England and Wales has been slashed by a third. 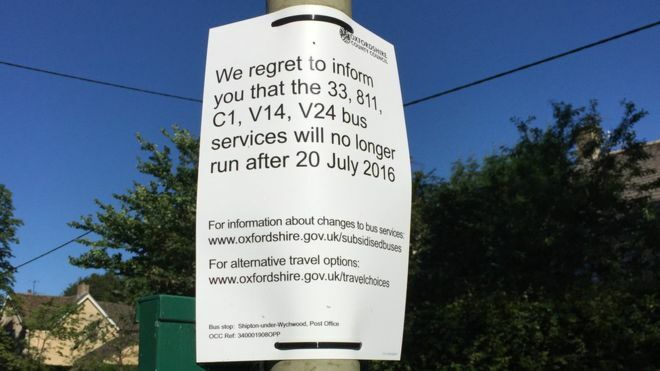 On 20 July 2016, Oxfordshire county council scrapped all subsidies for bus services. That same day, 54 routes stopped altogether, while many more were reduced. Without a fee of £95,804 per year from public money, Stagecoach would no longer run Witney’s bus service. When a series of public meetings to express opposition to closing services attracted a huge turnout, Labour councillor Laura Price began to wonder about taking over the service. Others soon got on board to help and the £18,000 needed to buy an old bus was raised. At the start of 2017 West Oxfordshire Community Transport (WOCT) was on the road. From the start Price wanted it to be a co-operative. Anyone paying a pound can be a voting member, drivers get a proper living wage, and any profits are reinvested in the business. Price and a handful of others give their time for free. If a driver goes off sick, one of the directors gets behind the wheel. After just 16 months, WOCT not only breaks even, it’s expanding. The fleet has gone from one to four buses (none less than 10 years old). And it provides a lifeline to people who would otherwise have been stranded by the closure of local bus services. Other alternative bus providers do exist: there are community bus services in east London and west Norfolk, and there are a few of the old municipal bus companies still in existence, especially in Nottingham and Edinburgh. But there is much that the state could do to improve bus services. It could give other regions the same powers over bus services as Sadiq Khan and TfL (as nodded to by Theresa May’s Bus Services Act), suggests Chakrabortty. And it could support the establishment of more municipal bus services; and compel commercial operators to cooperate with municipal and community bus services. On the Moulsecoomb and Bevendean estates in Brighton, cafes and shops and other resources are conspicuous by their absence. The area’s last pub was shut down in 2010. Now the Bevy is up and running again, brought back to life by community worker Helen Jones and her neighbours. ‘When the authorities got wind of their plan, a police officer emailed to say that the pub would never be allowed to re-open. The council gave them bad advice, while local politicians didn’t have a clue.’ But the campaign took off, boosted by the parish vicar, who supported the campaign and let them use his church when they launched their community share issue, raising £200,000 in shares and grant money. Now the Bevy charges over a pound less for a pint than in the centre of Brighton and – almost unheard of in this industry – all bar staff over 18 are on the proper living wage of £8.75 an hour. As well as a pub, the Bevy acts as a hub in a fragmented community that has almost no other public space to meet. It is a co-operative owned by its members, with profits invested back into the community. Britain now has more than 100 of these ‘community pubs’. In 2006 Queen Mary University moved their cleaners in-house. It’s widely accepted that when a low-paid service job, such as cleaning or portering, is contracted out to a company, it drives up profits at the expense of workers. Previously employed by KGB Cleaning, Queen Mary cleaners are now paid a living wage; they have job security and receive holiday pay and sick pay and other benefits just like other university staff. Morale is high and absenteeism low. A key player in the outsourced cleaners’ campaign for better pay was a Queen Mary geographer called Jane Wills, who had done early research on the living wage. She also knew a community activist group that would later become Citizens UK. She drafted them in to help and they began by collecting testimonies from KGB workers about their working conditions. When Queen Mary managers refused a meeting with the campaigners, they held a rally outside the college, with 120 cleaners, students and the local MP all calling for a living wage. Finally, a meeting took place between a group of cleaners and the college’s chief administrative officer Dean Curtis, who was shocked by what he heard. According to freedom of information requests submitted by Unison and shared exclusively with the Guardian, reports Chakrabortty, of 132 responding universities, more than half outsource their cleaning and even more outsource their security. Even now only just over 20 per cent of universities are living wage accredited. Apart from the local MP appearing at a rally, the Queen Mary cleaners’ greatly improved lives owe nothing to state intervention. But it isn’t hard to see how tougher state regulations on working conditions and making adoption of Citizen UK’s higher living wage mandatory could transform the lives of many more. Having spent most of his life unsure where he’ll sleep, 51-year-old Bruce now has a home of his own. Come Christmas, he’ll have been in his one-bed flat for five years. This happened as a result of a policy called Housing First, explains Chakrabortty. It has been adopted by Finland, Denmark, Spain and France, as well as parts of the US and Canada. ‘In every country, the transformation has been astonishing. In the UK, Labour likes the idea, and the Tories are piloting it. But while Westminster makes warm noises, some councils and local groups are getting on and doing it. In Stoke three years ago, Housing First used National Lottery funding to commission a Housing First programme.’ Among the first on it was Bruce. To stand a chance of securing housing, homeless people in the UK usually need to prove they’re ‘housing ready’, for example by laying off the booze. Housing First argues that the main thing a homeless person needs is a home. Give that and dedicated support to help someone adjust to a new way of living, and the rest will follow. Along with his new flat, Bruce got a support worker. As the most enthusiastic adopter of Housing First, Finland is the only EU country where homelessness is actually falling. But the policy can’t work if housing isn’t available. When Finland made this a national strategy, they built thousands of low-rent flats. In Stoke, the Voices partnership relies on housing associations and private landlords. Housing First would not necessarily work for all the UK’s rough sleepers, but there is clearly huge potential – if the UK government were to make it a national policy and build low-cost flats. ‘So early this morning, as the weekend still brims with promise, on these hectares of parkland owned by the Queen, a little anarchist world briefly comes into focus. One devoid of government nagging or corporate profiteering, but reliant instead on mutual aid and human kindness.’ So reports Aditya Chakrabortty one Saturday morning in Richmond Park, London. Across the UK another 559 Parkruns were about to kick off. 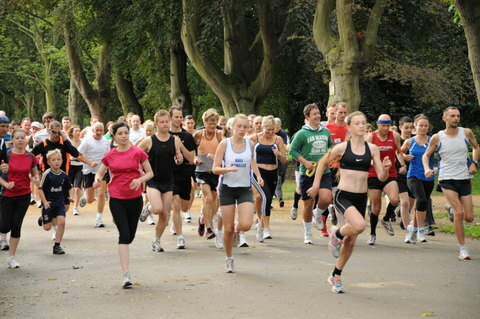 The first Parkrun took place in October 2004, when Paul Sinton-Hewitt organised what was to become a weekly 5km run around the local park in nearby Teddington. Today Parkrun is the world’s largest running event, with more than 1,600 events. In one good weekend, Parkrun’s adult and junior events pull in more than 235,000 participants around the world; within five years that’s expected to hit a million. Wikipedia and Parkrun are both examples of ‘people’s innovation’, according to Steve Flowers at the University of Kent’s business school. ‘They’re driven by users rather than producers, by volunteers rather than professionals,’ says Chakrabortty. ‘They’re horizontal rather than hierarchical, and they’re not primarily about making money. What drives these citizen innovators isn’t pay, but purpose: to have fun, gain work experience or just help others. This is an inversion of how we have come to think of work – it is more the gentle anarchism that you see in your local park every Saturday.’ The UK events are now supported by the charity Parkrun. The only role for the state is to give permission for the runs to take place in local parks – in other words to not get in the way. This is the title of the last in Aditya Chakrabortty’s Alternatives series. All the examples we’ve looked at, with the exception of the Parkruns, suggest that there is a lot that government could do to facilitate the growth of similar initiatives. This includes what can be seen as the traditional roles of the state: setting and enforcing minimum standards, for example for wages and conditions of work; adopting overarching policies like Housing First; and creating the legal framework needed to enable new institutions to be created. But just creating a legal framework isn’t enough. As we’ve seen, some local authorities are already taking action to build local economies, as in Preston, Oldham and Plymouth and in Wolfhagen in Germany. But this sort of action could be made enormously easier. The state could play a much more active role in promoting and facilitating local action: making local authorities aware of their powers, for example to distribute electricity; making it mandatory for councils to have officers dedicated to promoting localism – and, crucially, ensuring they have the funds to do what is expected of them. Chakrabortty identifies the ‘overwhelming centralisation of the British state’, and the fact that financial and political power is so concentrated in central London, as one of ‘two big shackles’ that hold in check the growth of more alternatives (the other is lack of capital: ventures such as co-ops struggle to raise the necessary cash). The UK has among the lowest levels of revenue-raising by local taxes in the OECD group of rich countries, he points out. Devolution of power is urgently needed. Looking at the role played by the state in Chakrabortty’s scattered ‘alternatives’, a picture of national government enabling local government to work with other local organisations and individuals to create a new society begins to emerge. These examples are merely the tip of the iceberg. 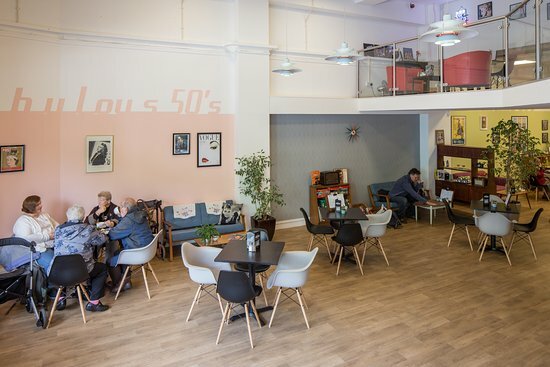 In a recent article for Local Economy, Neil McInroy of CLES tells us that there are many examples of local people pioneering different ways of doing things, and this is beginning to affect the way that local authorities are responding. We intend to locate more examples of this kind and to extend the analysis, so that we can develop a more nuanced thesis of 45 Degree Change. We will bring together people from different places to share ‘winning ideas’ and develop guidance for authorities and development agencies that wish to support the scaling up of the approach. Our process could build ‘participatory advocacy’ in which we create a constituency for change so that there is popular pressure on governments and companies to do the right thing. The final goal is a self-organising society in which there is significant ownership of development by local people. This is in tune with the movement to #ShiftThePower – so that the responsibility for a good society belongs to everyone and we all take part in addressing poverty, which currently destroys so many lives.